As corporate training and eLearning is turning shorter and practical, the importance of job aids to supplement learning is getting highlighted. L & D teams are now emphasizing on creating a coherent learning environment for their employees, by using job aids to complement the courses. Job aid, as the name suggests, aids the users in completing the job effectively and successfully. It comes handy for the users as it makes the right information available, in the right medium, right at their desks or fingertips, just when they need it. However poorly designed job aid would defeat its purpose and is likely to end up getting dumped into the stack of unused documents. Here are a few common mistakes that can, and should be avoided when creating job aids. 1. Lengthy and verbose – Users get frustrated if job aid provides too much theoretical, unnecessary and ‘nice to know’ information. 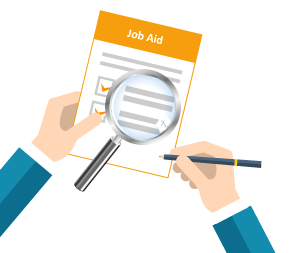 Job aid is for quick reference and hence should be concise, to-the-point and quickly getting to the crux of its objective. It should ideally be not more than one or two pages. 2. Complicated layout – Unformatted or complex layout makes it difficult for users to find information quickly. Job aid should be designed in an easy-to-follow format, contingent on the type of task it supports. 3. Don’t map to users’ needs – Job aid written without keeping in mind the target users’ entry level knowledge, needs and experience often fails to achieve its objectives. 4. 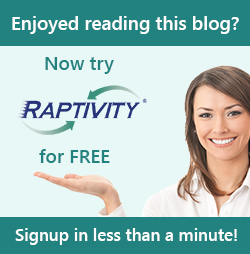 Content dumping – Just copying the entire step-list or flowchart from a training or process into the job aid is another common mistake. Job aid requires careful content curation, editing and reworking as opposed to content dumping. 5. No visuals – Job aid with only verbal description takes a lot of time to read and may drop user’s interest. Using images, drawings and symbols to describe information guarantee retention and makes it lot easier for users to follow. But visuals must aid the learning process and not just decorate the document. 6. Lack of context – Job aids, many times, do not set the context for using them. Job aid should have a brief linkage to the context, being standalone learning material by itself. Context would help users understand, retain and process information better. 7. Difficult to access – The purpose of having a job aid gets defeated if it is not easily accessible to users. For example, job aids are merged into a single bank of online documents without sorting or giving a search option. Be it a print or digital, job aids should be easily accessible whenever users need it. 8. Complex language – Users tend to avoid referring a job aid if it has unfamiliar words, technical terms and industry jargon. Job aid should use simple language so that the user doesn’t struggle with its meaning. Jargons should be avoided unless appropriate to the task and the user. A well-crafted job aid can be a great reference tool for learners to apply their learning on the job and retain knowledge. However it should be designed and developed carefully to yield its results. Have you come across any such mistakes in job aids you have referred or reviewed? What are your tips for creating user-friendly job aids?